Police used their 'big red key' to get into flats on Euston Road searching for drugs. Morecambe Police’s ‘big red key’ was used to knock three doors down searching for drugs. 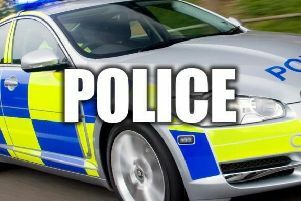 Police said they used their battering ram on three flat doors on Euston Road in Morecambe on Monday. They recovered some items to assist with their enquiries along with knives and an axe. If you have information about drug dealing in your neighbourhood, call 01524 596986, or email Morecambe.npt@lancashire.pnn.police.uk.